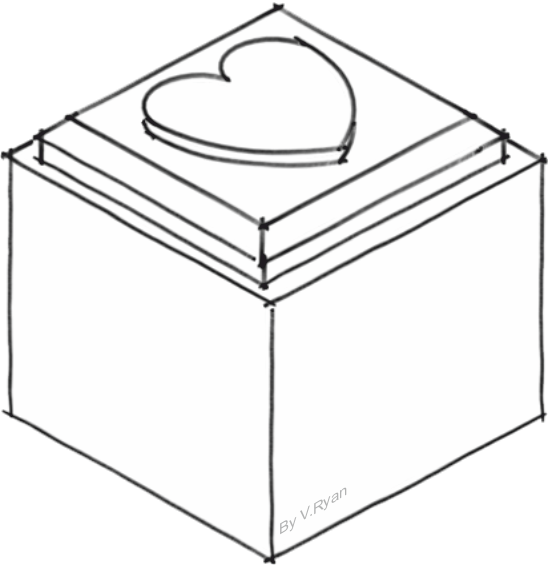 A 3D isometric sketch of a typical container is drawn below. 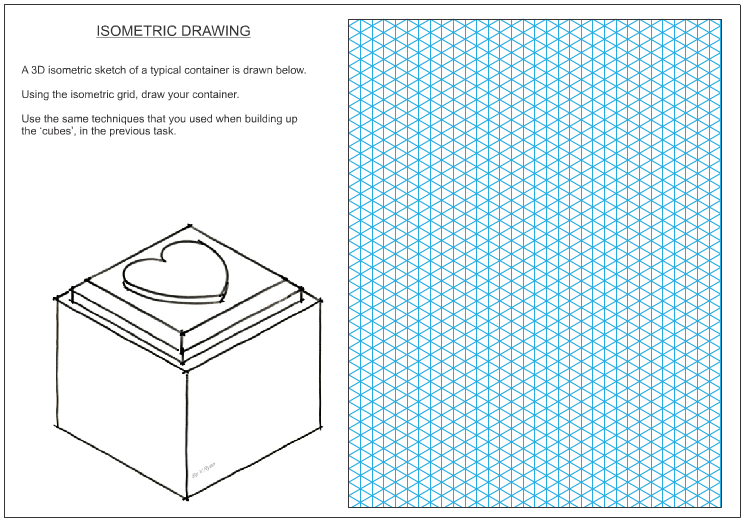 Using the isometric grid, draw your container. 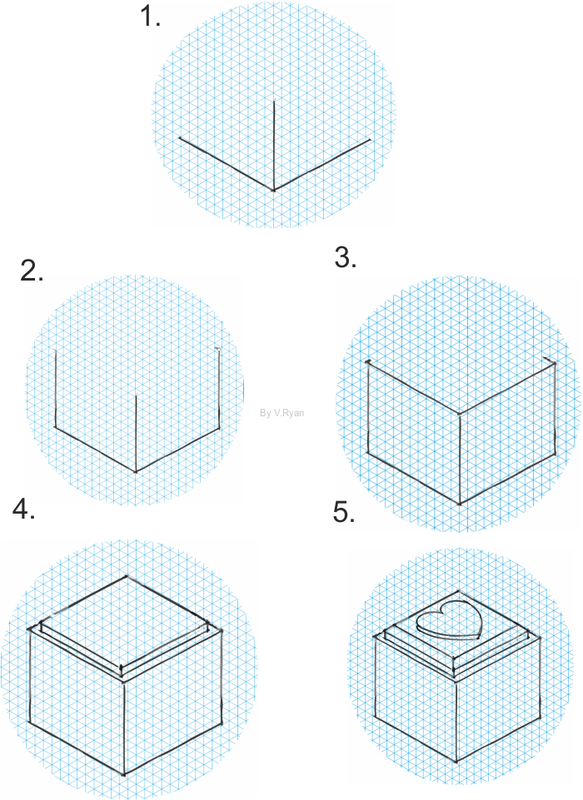 Use the same techniques that you used when building up the ‘cubes’, in the previous task. 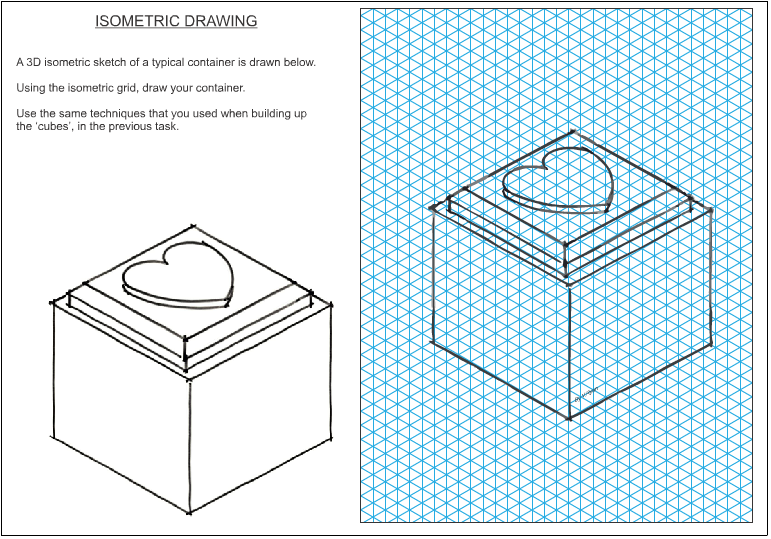 The stages of drawing the container are set out on this page. Start with the three basic lines, as seen in diagram 1. Then slowly build up the two visible sides, followed by the top / lid.